2017 年北京市春季普通高中会考英 语 试 卷考生须知1．考生要认真填写考场号和座位序号。2．本试卷共 10 页，五道大题（共 100 分） 。3．试题所有答案必须填涂或书写在答题卡上，在试卷上作答无效。选择题必须用 2B 铅笔作答；非选择题必须用黑色字迹的签字笔作答。4．考试结束后，考生应将试卷和答题卡按要求放在桌面上，待监考员收回。一、听力理解 （共 20 小题，20 分。每小题 1 分）第一节：听下面八段对话或独白，从各题 A、B、 C 三个选项中, 选出能回答问题的最佳答案。每段对话或独白你将听两遍。听下面一段对话，回答第 1 题。1.What’s the woman going to do this Saturday？A. Stay at home. B. Visit her uncle. C. Go ice-skating.听下面一段对话，回答第 2 题。2. When will the speakers probably have a meeting?A. On Wednesday. B. On Thursday. C. On Friday.听下面一段对话，回答第 3 题。3. What is the man’s hobby?A. Reading books. B. Collecting coins. C. Listening to music.听下面一段对话，回答第 4 题至第 5 题。4. How does the woman go to work now?A. By underground. B. By bus. C. By car.5. What is the probable relationship between the two speakers?A．Neighbours. B．Colleagues. C．Husband and wife.听下面一段对话，回答第 6 题至第 7 题。6. What does the man want the woman to do?A. Pick him up on Thursday. B. Buy his mother a gift. C. Take care of his cat.7. How many days will the man be away?A. 2 days. B. 5 days. C. 7days.听下面一段对话，回答第 8 题至第 10 题。8. Where did the woman stay during the holiday?A. In a hotel. B. In a guesthouse. C.at a camp site.9. What did the woman do?A. She went camping. B. She went swimming. C. She went walking.10. How does the woman feel about the holiday?A. Tiring. B. Relaxing. 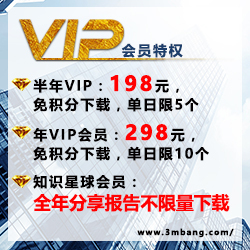 C. Surprising.听下面一段独自，回答第 11 题至第 13 题。11. What are the speakers talking about?A. A class. B. A party. C. A game.12. What is the woman’s suggestion?A. Practicing every day. B. wearing comfortable shoes. C. Preparing money for the drink.13. What time will the two speakers meet tomorrow evening?A. At 6:15. B. at 6:30. C. At 7:30.听下面一段对话，回答第 14 题至第 16 题。14. What’s the announcement mainly about? A. after-school programs. B. weather conditions. C. Schedule changes.15. From which place will the special-activity bus leave?A. Outside the main office. B. The east parking lot. C. The snow bus stop.16. What should a parent do if he picks up his child?A. Sign out his child. B. Phone the teacher. C. Wait at the activity center.第二节：听下面一段对话，根据题目要求在答题卡相应题号后的横线上写下第17 题至第 20 题的关键信息。此段对话你将听两遍。Telephone messageFrom Warren (17) Tel: 9573-6804Lost a (18) wallet with $200, a family photo and a (19) cardMessageTimeFee Seat number was Row (20) , Seat 7.二、单项填空 （共 15 小题，15 分。每小题 1 分）从各题 A、B、C 、D 四个选项中，选出可以填入空白处的最佳答案。21. You can ask for help if you need. Here is willing to lend you a hand.A. One B. No one C. Everyone D. Someone22. If you don’t like _______ drink, just leave it and try ______ different one.A. the; a B. the; 不填 C. a; a D. a; 不填23. In the last few years, China great achievement in the space industry.A. has made B. had made C. was making D. will make24. You’d better write down her phone number before you it.A. forget B. had forgotten C. forgot D. will forget25. In most online classes students can learn their own pace.A. by B. to C. from D. at26. I’m calling about the apartment you _______ last week. Could you tell me more about it?A. advertised B. had advertised C. are advertising D. will advertise27. It’s not easy to change habits, _______with awareness and self-control, it’s possible.A. for B. but C. or D. so28. More expressways ________in his province soon to promote the local economy.A. will build B. will be built C. have built D. have been built29. The prize will go to the writer ________ story shows the most imagination.A. that B. which C. what D. whose30. __________ more about Chinese culture, Jack has decided to take Chinese folk music as an elective course.A. Learn B. Learned C. To learn D. To be learning31. _______ we understand things has a lot to do with what we feel.A. Where B. How C. Why D. When32. All the books _____by the students have been sent to the children in the countryside.A. having offered B. to be offered C. offering D. offered33. -------Can’t you stay a little longer?-------Sorry. I really ________ go now. My daughter is home alone.A. may B. must C. can D. dare34. ---Mr. Ride, can I continue with the training?--- Sorry, you can’t _______ you haven’t recovered from the knee injury.A. although B. before C. as D. unless35. During the weekend, the health club is usually full of people __________ to get in shape.A. try B. tried C. trying D. having tried三、完形填空 （共 15 小题，15 分。每小题 1 分）阅读下面短文，从各题 A、B 、C、D 四个选项中，选出可以填入空白处的最佳答案。A New Friend and Perspective (视角)I picked up the phone, slowly dialing the number to her house. All I could think was what we could possibly have a conversation about, 36 ! I didn’t think I could have anything in common with someone who is 50 years older than me.“Your grandmother won’t be around forever,” my mom said, 37 I just did what she told me and painfully 38 my grandmother. What I didn’t know was that the phone call would change my perspective on life and my grandmother.When she answered the 39 I planned to have a small conversation. Instead, she invited me to lunch. Hesitantly, I replied with a “ 40 .”When I hung up the phone, I immediately regretted 41 to the lunch date. How was I going to fit this 42 my busy schedule of homework, games, and friends? It was not my ideal Saturday, but I sucked it up and 43 anyway. Me and my grandmother… nothing to talk about.44 , my Saturday morning wasn’t painful. I was interested in listening about her recent trip to Europe and how she saw the famous Eiffel Tower. She told me stories about her sewing class and her friends. I wasn’t aware that 60-year-old people had a social life. It turned out that her life wasn’t as 45 as I thought. For once, I was 46 without friends and without my cell phone. We planned to meet again at her house. This time, my mom didn’t have to 47 me.During the next visit, we sorted through three shoeboxes of photographs. There was an interesting story for each one. I learned that as humans, we share human experiences, no matter what age.48 I made the first phone call to my grandmother, we have talked at least once a week. I regret not calling her 49 . Her advice has taught me things that can’t be learned in a textbook. She taught me to be open to new things, to enjoy the simple things, and to appreciate what life has given me. I have 50 a friend, a mentor (导师) , and a new perspective.You know, it doesn’t 50 much to help someone else.36. A. Nothing B. Something C. Everything D. Anything37. A. for B. but C.so D. or38. A. left B. called C. visited D. helped39. A. phone B. door C. letter D. question40. A. I’m busy B. Never mind C. That sounds great D. I’m afraid not41. A. agreeing B. sticking C. keeping D. objecting42. A. up B. on C. with D. into43. A. stopped B. waited C. went D. returned44. A. Hopelessly B. Surprisingly C. Funnily D. Naturally45. A. hard B. busy C. rich D. boring46. A. curious B. content C. active D. proud47. A. beg B. follow C. thank D. understand48. A. Even if B. Ever since C. As long as D. As far as49. A. later B. more often C. earlier D. less often50. A. remembered B. brought C. changed D. gained四、阅读理解 （共 15 小题，30 分。每小题 2 分）第一节：阅读下面短文，从各题 A、B、C、D 四个选项中选出最佳答案。AChicago High SchoolThere are many different high schools in Chicago. They all have the same courses, such as English, math, science, and social studies. In addition to academics, every student should do service learning, which means that each students helps the school and neighborhood with projects. Some students tutor after school. Some work in soup kitchens, helping people get food. Others work to improve the environment. When students do service learning, they feel better about themselves and learn more skills.Some high schools are specialized. Students choose to go there because they want a certain career or want to study a special subject. For example, you can go to a high school that specializes in arts if you are interested in arts. If you dream about flying, you can go to an air force school in Chicago. Besides the usual subjects, you also learn about flying there.You can also find special programs at regular high schools. Language program is popular and many schools offer language courses, such as Chinese and Spanish. Students from a wide range of backgrounds have joined them. Even culinary (烹饪) arts are available at some schools. One student who went to Richards High School in Chicago got a $10,000 scholarship to go to culinary college. He achieved his success at Richards High School where he took culinary arts classes as well as the regular courses. He is on his way to a great career.When you choose a high school, you should think about many things. Whatever high school you go to, how much it helps you is up to you. Succeeding in high school requires determination, concentration, and a commitment to be the best that you can be.51. High school students in Chicago need to ________.A. do service workB. learn cookingC. have a personal tutorD. take environmental courses52. Specialized high schools are suitable for students who have _______.A. a scholarshipB. volunteer experienceC. a plan on a career or a subjectD. excellent performances in school53.What do we learn about Richards High School?A. It offers some culinary courses.B. It has Chinese language courses.C. It provides students with free lunch.D. It is famous for its academic subjects.54. The passage is intended for ________ .A. parents B. teachers C. headmasters D. studentsBVolunteer DayWhat better way is there to enjoy your own hobbies while helping others at the same time? Come to Volunteer Day and choose which activity you’d like to join for the day. See below for a schedule of events on Volunteer Day.Volunteer Day schedule:7:30a.m. : Meet at the Community (社区) Center for juice and bagels.8:00—8:30 a.m.: Choose which activity you’d like to help with for the day.8:30 a.m.: Board the bus to your activity site.9:00 a.m.—3:30 p.m.: Work as a volunteer.3:30 p.m.: Board the bus that will take you back to the Community Center.See below for a list of volunteer opportunities for Volunteer Day so you can begin thinking about which activity you might want to join.A list of volunteer activities:Paint houses: Do you enjoy making art? If so, this volunteer opportunity might be just right for you! Happy Homes is a local organization that provides home repairs for needy people in the form of painting. For elderly or physically disabled people who cannot do repairs to their homes, Happy Homes provides volunteer painters to repaint old homes; outside or in. Happy Homes also provides painters to create beautiful wall paintings inside schools or community centers.Plant flowers: Do you enjoy being outside in nature? City Parks Association has many great opportunities for people who love to be outdoors. Help plant flowers and bushes in city parks; help lay paths at Cave Springs Park, or help pick up rubbish around the river banks. These activities are very active, so remember to be prepared with plenty of drinking water!Read to children: Do you enjoy working with young children? Do you like books? Love and Learning is an organization that provides volunteers to help children with learning disabilities. Read books out loud to groups of children four to six years old, or read one-on-one with struggling readers seven to eight years old.Play with animals: Do you love animals? Lovely Friends is an organization that visits local animal shelters and provides volunteers to spend time with the animals while their cages are being cleaned. Play with puppies, snuggle with cats, or hand-feed rabbits.55. At what time do volunteers leave for their activity sites?A. 7:30 a.m B. 8:00 a.m. C. 8:30 a.m. D. 9:00 a.m.56. An outdoor lover probably takes part in ______.A. Plant flowers B. Paint houses C. Read to children D. Play with animals57. What do Lovely Friends volunteers do?A. Read books to children. B. Spend time with animals.C. Help plant bushes in parks. D. Pick up garbage along the river.58. The purpose of the passage is to _________.A. educate children B. attract volunteersC. comfort the elderly D. encourage the disabledCWhen Ruth Redding, a bank manager, was sent on a management training course to improve her relationships with her colleagues, instead of being asked to address her boss or her peers, she found herself talking to a horse. In fact, during the course, Redding was standing in a pen whispering to an animal and communicating in a non-aggressive way. This form of communication, which is the subject of the best selling novel The Horse Whisper, later filmed with Robert Redford in the starring role, might appear strange on a farm, let alone in a management training course. But horse whispering is among a number of unusual activities increasingly being used to teach staff about every aspect of working life, from self-confidence to communication.In the 1980s and 1990s, it became fashionable to put managers on a remote mountainside and leave them to survive a weekend in order to promote leadership skills and build team spirit. An alternative to the classic “chalk and talk” format, it all seemed wild and rather outlandish.Today, by comparison, it looks increasingly dull. A new generation of management training consultants are adopting a different approach. In America， salespeople are farming cattle, while in Britain, one supermarket reportedly put its managers in Native American teepees for a weekend to develop a spirit of cooperation.